Do you guys love glitter? I love to use glitter in crafting and decor projects, but it can sure be messy! 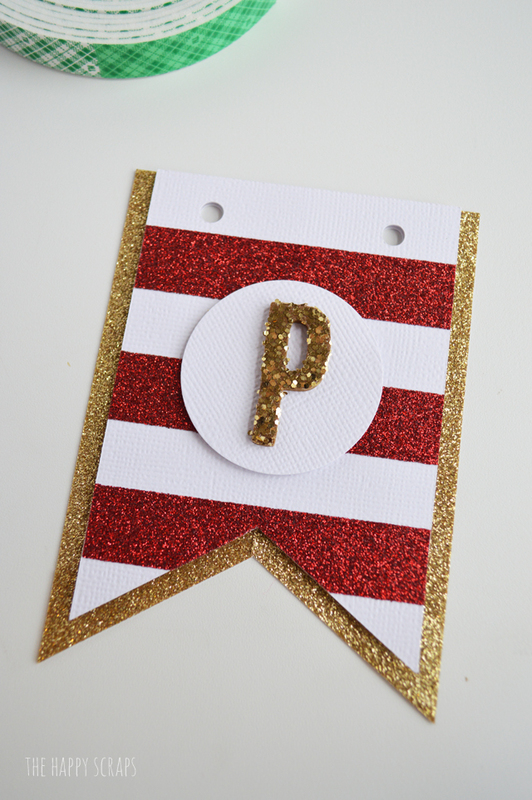 That’s why Scotch® Expressions Gold Glitter Tape and Scotch® Expressions Red Glitter Tape can be so fun for crafting. There is NO mess! I’m pretty sure that’s my favorite part as well as looking at the fun glittery project when it’s done! 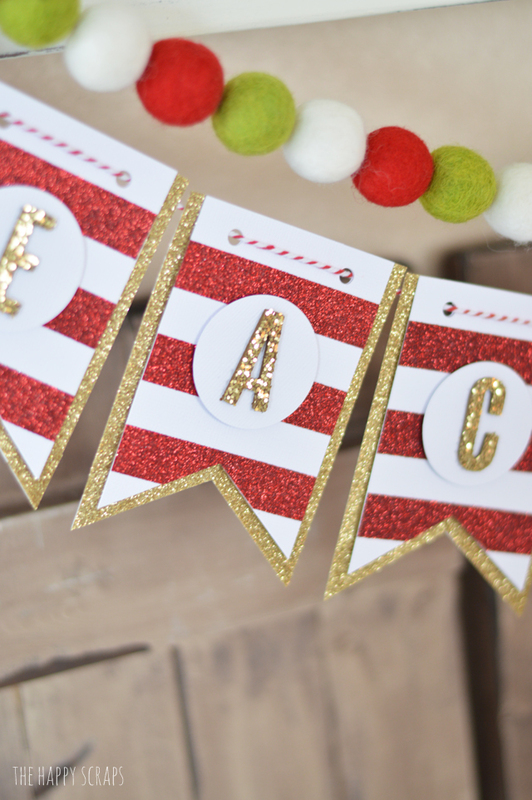 Today I’m going to share with you how to make this fun DIY Glittery Peace on Earth Banner and also talk about how you can create banners all year long for any occasion! This is such a fun project to create, and comes together fairly quickly too. Hover over the image below to click on the links to purchase the products used. 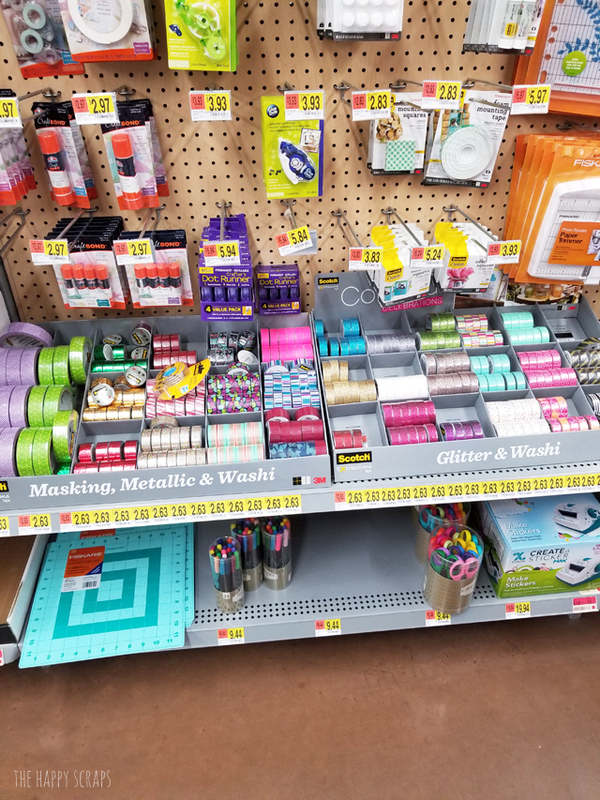 Or, you can pick up Scotch® Expressions Gold Glitter Tape, Scotch® Expressions Red Glitter Tape, and the Scotch® Create Foam Mounting Tape in the paper crafting aisle at your local Walmart. 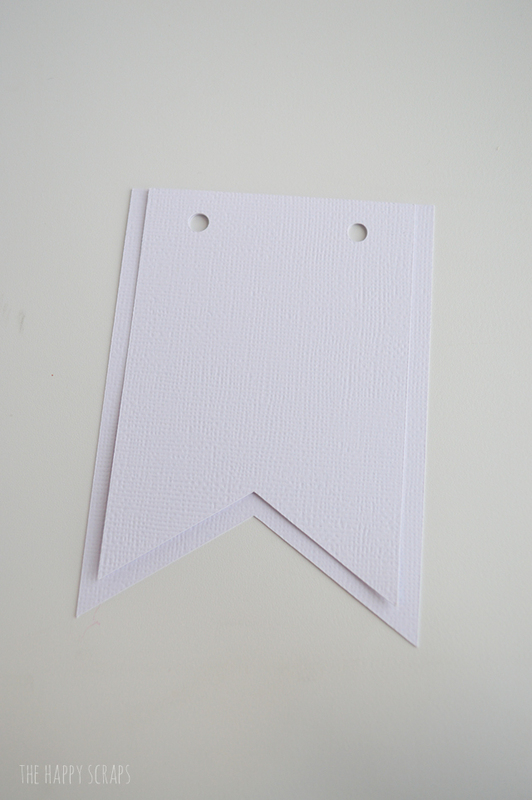 For the banner shapes, I used my electronic die cutting machine to cut the shapes, but you could hand cut the shapes as well. Just make sure that you have two different sizes that work well with each other. Also, punch holes at the top of them. 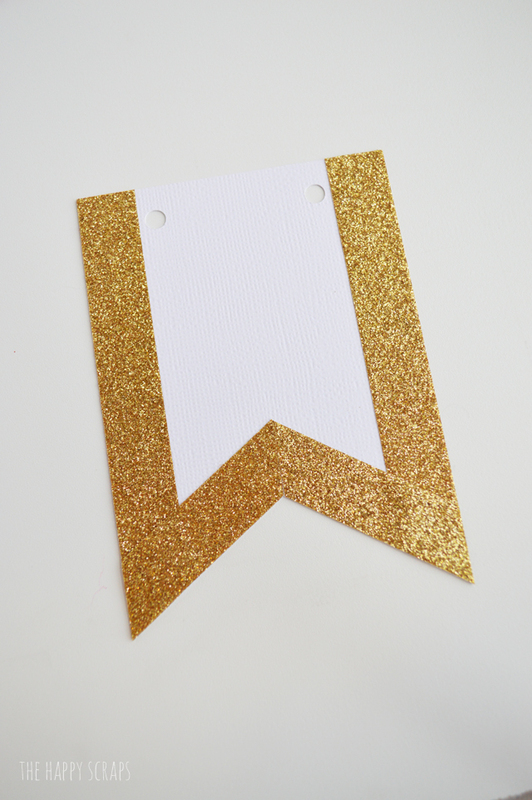 On the larger banner shape, use the Scotch® Expressions Gold Glitter Tape to line the edges. It’s so sparkly, isn’t it fun?! 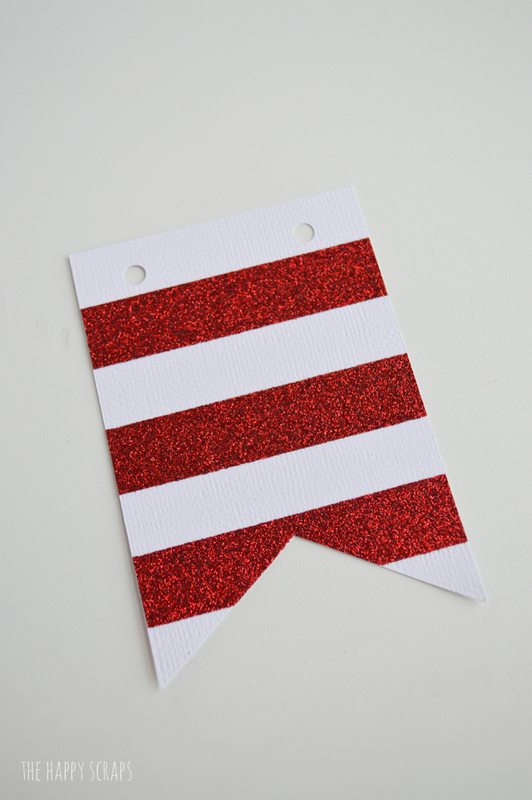 With the Scotch® Expressions Red Glitter Tape, create stripes on your white paper. I spaced mine so I have three stripes on each one. 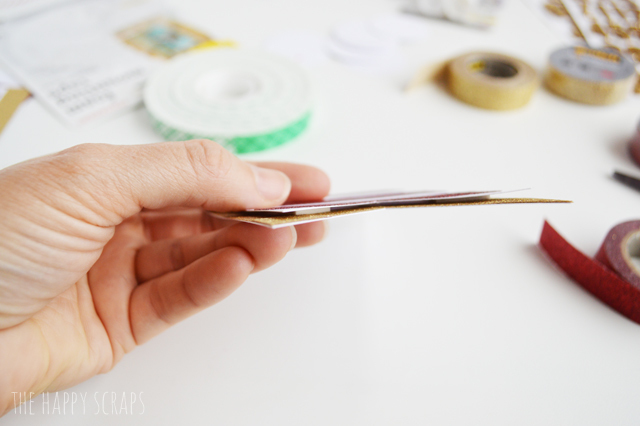 Once you have the bottom stripe on, use your scissors to trim the triangular piece out. 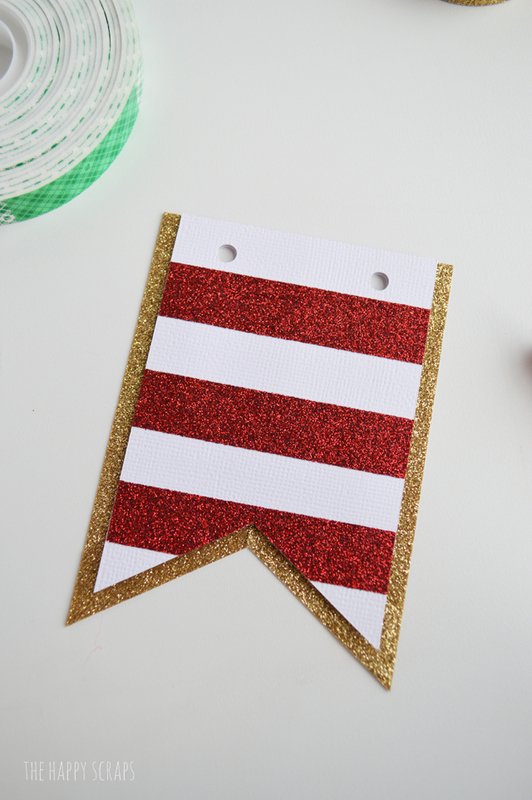 Next, you’ll use the Scotch® Create Foam Mounting Tape on the back of the smaller banner shape (with the Scotch® Expressions Red Glitter Tape). I cut three pieces and placed them on the back. Then I mounted it onto the larger banner shape with the Scotch® Expressions Gold Glitter Tape on it. I lined up the holes at the top to make sure it was in the right place. You can see how the Scotch® Create Foam Mounting Tape adds dimension to the banner. Almost every time I create a banner, I like to add dimension by doing this. It makes banners so fun to not just be flat. Place your glittery letter stickers onto the circles. Once you have all of your letters on the circles, use the Scotch® Create Foam Mounting Tape again, to mount the letter/circle onto the banner shape, creating more dimension. When you have all the banner shapes put together, use your baker’s twine to string it all together. 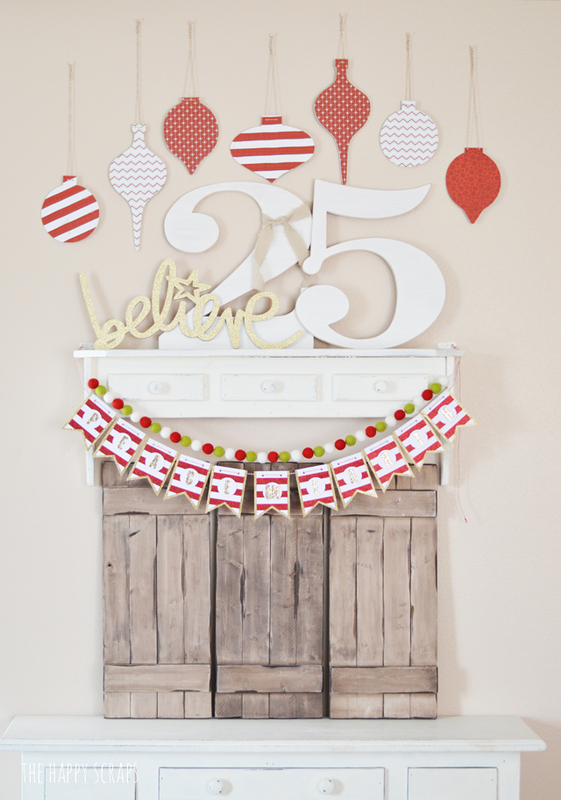 Banners are so fun and can be used for any occasion. I almost always have a banner hanging from my living room shelf. Since I don’t have a mantel, I think it’s the next best thing to hang banners from. Scotch™ Brand makes it easy to be hands-on and create banner projects that I love and enjoy having in my home. 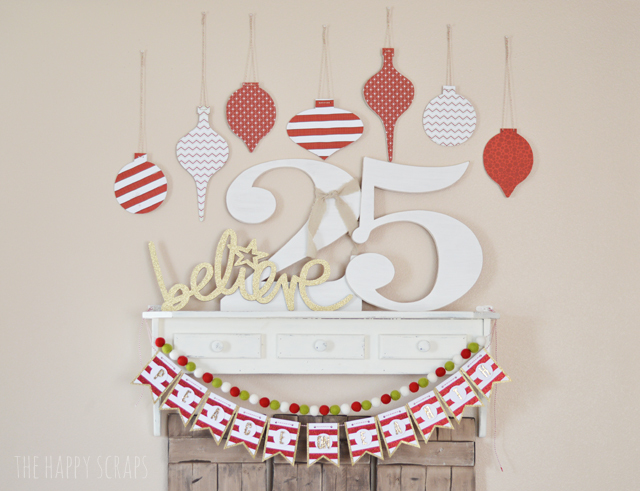 This DIY Glittery Peace on Earth Banner goes perfectly with my other red and gold holiday decor this year too! 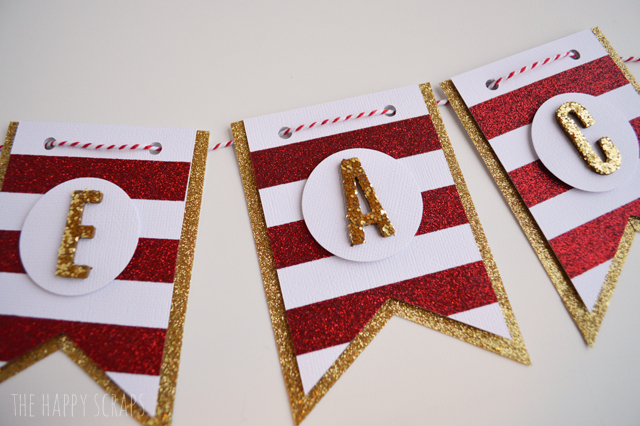 Isn’t the Scotch® Expressions Gold Glitter Tape and Scotch® Expressions Red Glitter Tape perfect on these?! 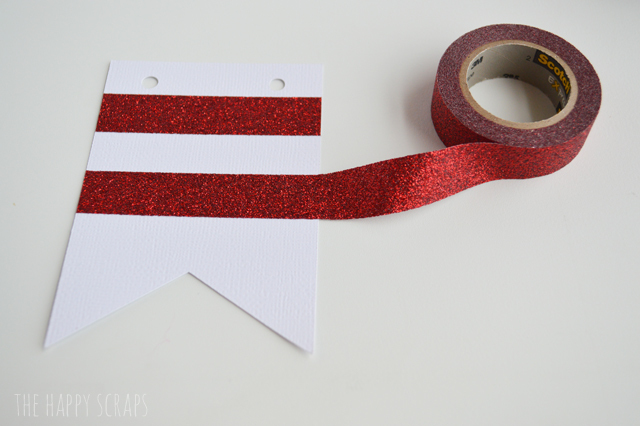 I love how easy this glitter tape is to use and love that it’s inexpensive to purchase as well! It makes for budget friendly crafting. 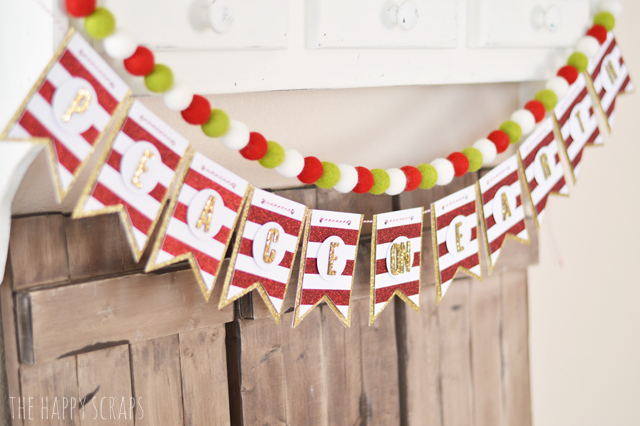 Banner making can be so easy with these tips, and can be used to make a banner for any occasion such as birthdays, holiday parties, or any get together you might be hosting. It’s exciting to figure out how to create something yourself, but if you don’t have the right products to make it happen, it can get frustrating. Scotch™ Brand has all the products you need to create fun banners all year long! 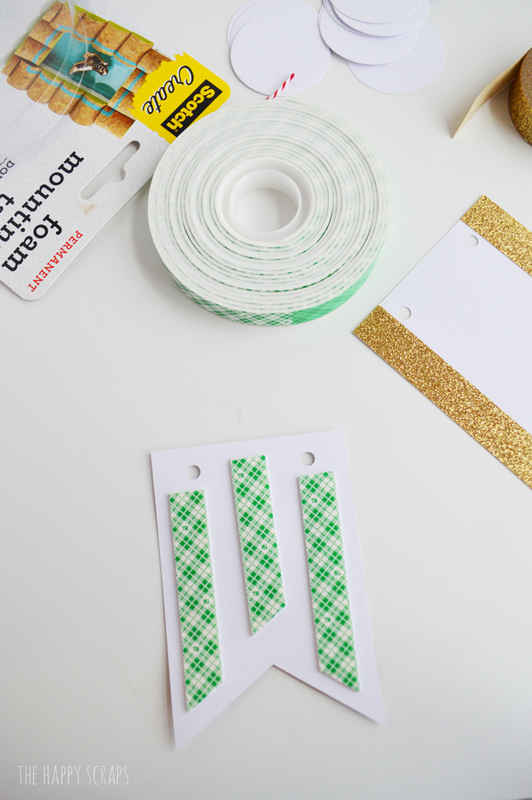 I love that Scotch® Expressions Tapes can make an everyday project more fun and colorful! It’s versatile to use as well. 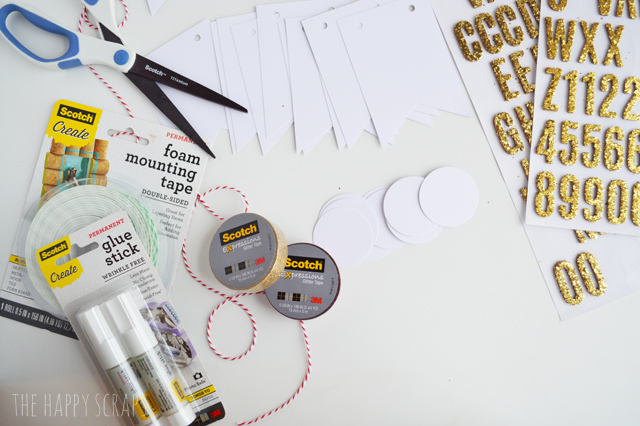 Scotch® Create Adhesives are perfect for any craft you might be making. Whether it’s masking tape, foam mounting tape, or spray adhesives, you can find a Scotch® Brand product that is perfect for your project. So head to Walmart to pick up your supplies and make something beautiful! I totally agree with you about the glitter – so messy! These glitter tapes look awesome, and your banner is beautiful. I am inspired! If that glitter tape is as pretty in reality as it looks on pc will be buying that. Have several ornaments which need to adhere glitter around edges which could be a real bear for somebody with hands that don’t work too well. The old eyes don’t work as well anymore either but keep making things anyway. Your garland is so pretty and detailed, love how it looks. You did such a great job with it. Luckily I have banner patterns for which I use water color paper for strength so can use those patterns. Don’t know if will get time to make this banner but printed it out should I find the time. Always love your projects. Thank you! I’m so glad you like it! That glitter tape sure is fun to work with, and no mess! Super cute! 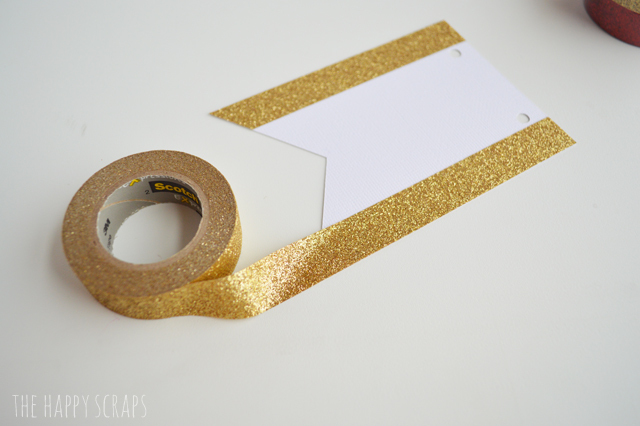 And that tape looks like a great way to get the glitter without the mess.